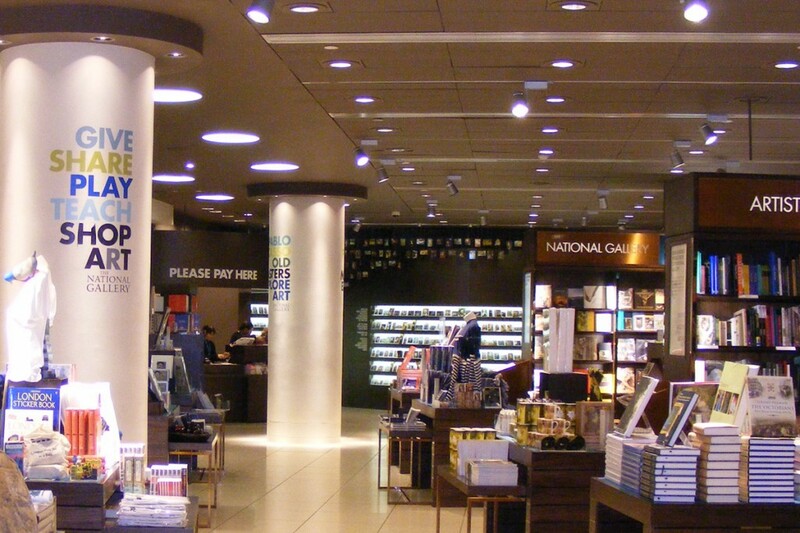 The One Off asked into to design a lighting scheme for their total refurbishment of the gallery’s ground floor retail space which overlooks Trafalgar Square. The lighting needed to enhance several key pieces of unitary with a level of detail and quality expected within the building. Lighting was to be an important part of the new concept. 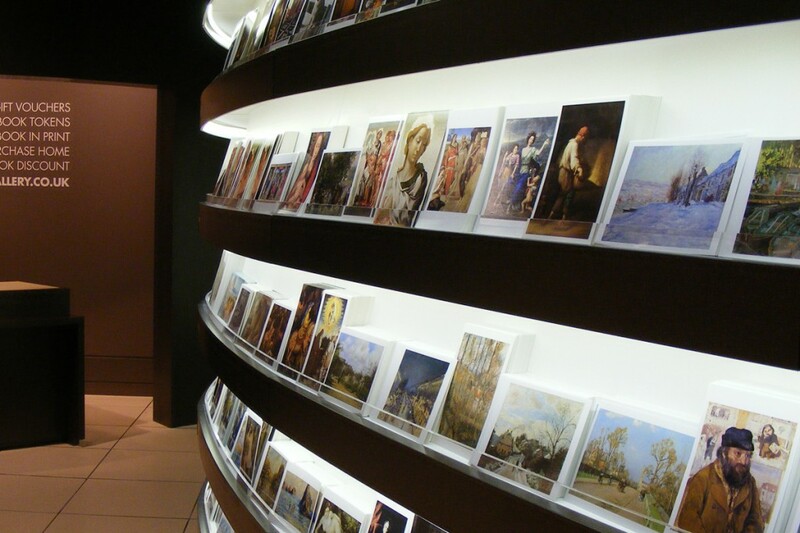 The postcard wall becomes a focal point in the space by reducing the ambient light and giving focus with continuous linear integral lighting from flexible LED tape able to follow the curved form. 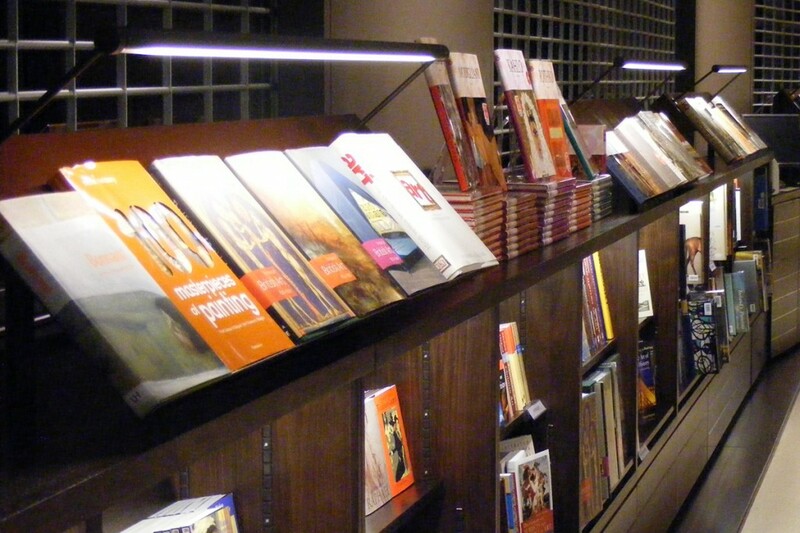 Tall book shelves also have linear lighting details within the joinery to improve vertical illuminance. Bespoke reading lights were kept minimal and elegant over desks displays. Efficient metal-halide sources were used to provide crisp white light and good colour rendering onto products. 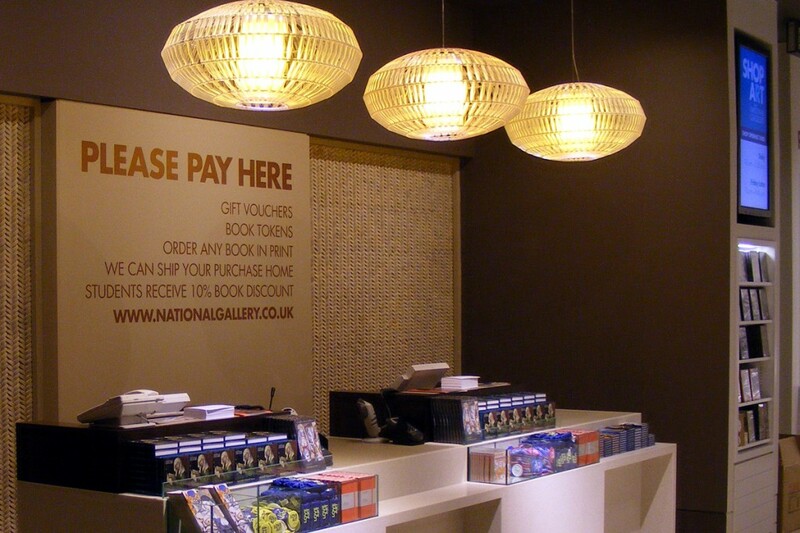 A dramatic improvement in the quality of light helped to restore the shop as a key part of a visit to the gallery. 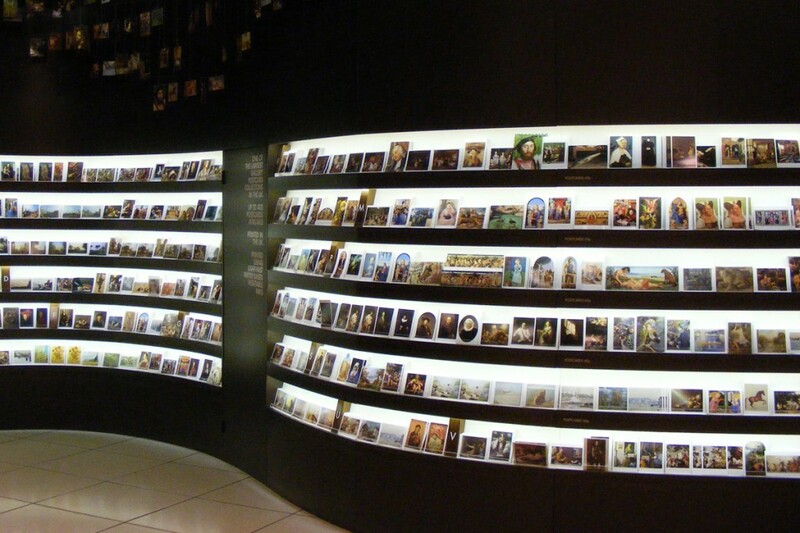 The need to display each and every object clearly is achieved with well considered vertical and integral lighting. Areas of different types of accent lighting maintain the customer’s interest.